Total Area: 1411 Sq. Ft. 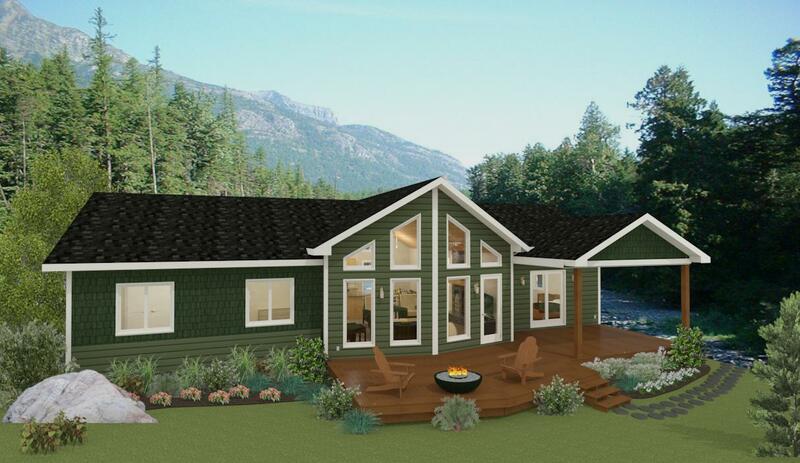 Originally designed as a lakefront cottage, this design is possibly the best bang for your buck of any plan we have on our site. This 1,411 square foot, four bedrooms, two bath design is packed full of all the features you might want and maximizes space with an efficient layout and shape. The main entryway is very roomy and has a large section of benches and hooks for boots and coats. The other side of the mudroom has an option for a stacking washer dryer as well as a laundry sink and potentially an extra fridge (which is quite common for cottages). Keep in mind that everything we do is fully custom, so the above items could easily be traded for a closet or more storage if that’s what suits you. The great room is wide open with 12-foot vaulted ceilings and really brings the outside in with a vaulted wall full of windows. 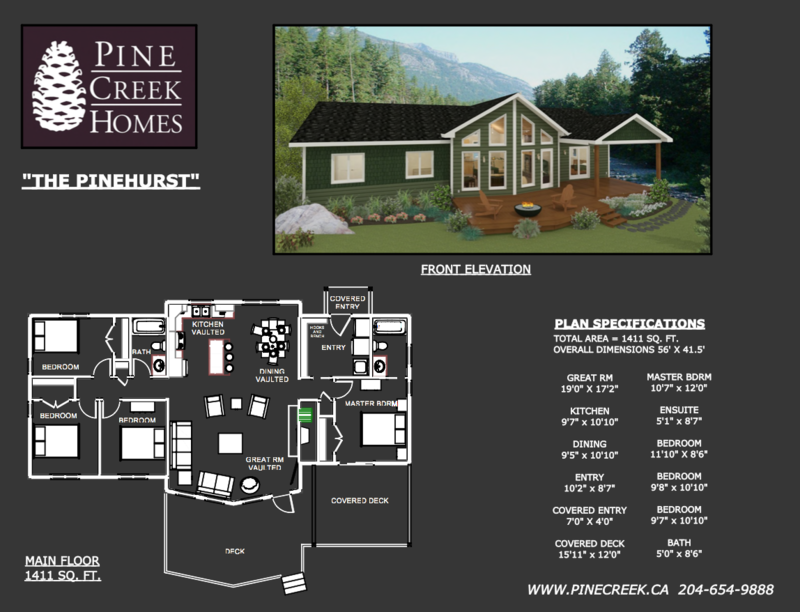 Enjoy the large living space sitting around the fire, watching a hockey game, or taking in the view. The kitchen and dining area are both very efficient uses of space. An eat-in island adds more prep space, as well as more seating to eat or entertain. Three of 4 bedrooms sit on the same side as the great room, along with the guest bath, with the master suite on the other side of the great room for some added privacy. The master has its own ensuite bathroom, as well as a set of patio doors which open onto the lakeside deck. This allows you to take advantage of the views as soon as you wake up, in addition to direct access to the deck, where you can relax under a covered roof to enjoy a morning coffee. The large deck is also accessible off the great room and the covered portion is a great place to get some shade or BBQ when it’s raining out. With plenty of space for furniture and a patio set, this deck will likely get more use in the summer than the great room will.